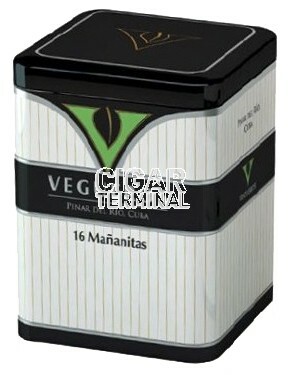 The Vegueros Mananitas is a medium bodied Habano of Petit Piramide format, with 46 ring gauge, 3.9” (100mm) long and comes in a tin box of 16 cigars. 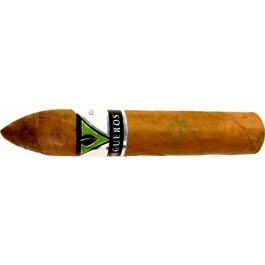 Vegueros is a regional brand, not found easily, and its classic vitolas have been discontinued in 2012 and replaced in 2013 by a line-up of 3 new cigars: the Mananitas, Tapados and Entretiempos. The Mananitas is a nice and short figurado, with a rather big ring gauge, a size that modern Cuban cigar aficionados are looking for. Delivering classic Cuban woody, earthy and spicy flavors in about 40 minutes smoke, this cigar is a great pick for a novice or for a try-out.